A high-risk pregnancy occurs in about 20 to 30 percent of all pregnancies and needs more attention than you’d think and can require some extra homework on your part to better prepare for this difficult pregnancy. Undergoing a high-risk pregnancy means that you or your baby may develop health problems either during, before or after your child’s birth. Even if these are minor problems, they still threaten the life of you and your baby during your pregnancy. Plus, it will need additional monitoring by your local healthcare physician. Your pregnancy is classified as high-risk pregnancy, if some criteria apply. During regular screenings, questionnaires are drawn up which record the general state of health of the pregnant woman and any complaints and thus determine a higher risk. In some European countries like Germany and Austria, there are extensive questionnaires. This is why many pregnancies are considered to be high-risk pregnancies. 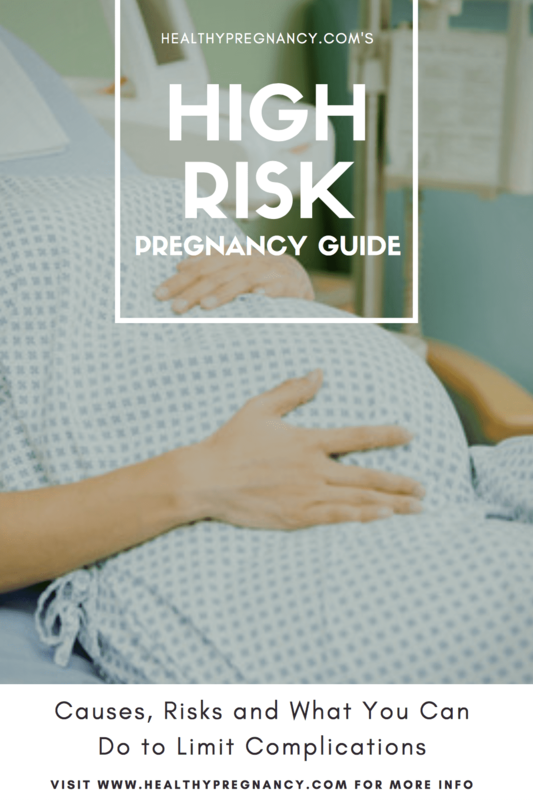 According to a study, 3 out of 4 pregnancies are classified as high-risk pregnanies. Often at times, a high-risk pregnancy can be caused by a long-term chronic medical condition before your actual pregnancy. This can create risks during your pregnancy, which makes it high-risk. Medical conditions such as high blood pressure, diabetes, etc. Complications during pregnancy such as low amniotic fluid, problems with the uterus or limited fetal growth. However, if you have recently or been long-term treated for a health condition, you may know that your pregnancy is going to contain risks to you and your baby. But, often enough, high-risk pregnancies happen simply because it’s your first time giving birth. Even if you are diagnosed with a high-risk pregnancy, you do not have to be worried from the start: high-risk pregnancies do not have to lead to problems automatically, but you do have to take extra steps to deliver a healthy baby, while staying safe at the same time. How Will This Affect My Care? If you are considered high-risk, you may need more prenatal checkups with your primary healthcare physician. Additionally, you might also be referred to an MFM, or a maternal-fetal medical doctor. Simply put, this is a professional physician who has experience in helping women undergo high-risk pregnancies. Since the amount of care you and your baby requires is entirely based on your condition, seeing your MFM doctor regularly may be mandatory. Also, your MFM doctor will work side-by-side with your ob-gyn to help you deliver a healthy baby. How Will This Affect My Labor? During your high-risk pregnancy, you have to prepare your mind that you may not be getting the birth you’ve always dreamed of. This means that in most cases a birth center or home birth is out of the question. Instead, you will need to undergo your pregnancy in a specialized hospital where you can get closer attention for you and your baby before and after birth. However, talking to your healthcare physician on what to expect during your high-risk pregnancy can help you better prepare for your child’s birth. What Are The Risks My Baby Will Face? For those with high-risk pregnancies, your top worry will likely be about the health and safety of your baby. It is only natural to be worried. However, you can still have a healthy baby if you listen to your doctor and take care of yourself. Certain health conditions and the medications that are used to treat them can often create a risk for your baby. However, not taking your medication can only make matters more dangerous. Your doctor may suggest you switch to a different medication that is safer to take during your pregnancy. This can limit the risk of medication-related problems that your baby may experience. If your child is born prematurely, they can have trouble feeding, breathing, they may develop infections or experience other complications. In this case, your newborn may need to stay in the hospital in the neonatal intensive care unit for a few weeks to receive extra care. In order to reduce the risk of high-risk pregnancy complications, there are a few things you can do. Set up a preconception appointment with your doctor a few months before you plan on conceiving. This way, you can make any necessary changes. Learn as much as you can about your condition and how you can stay healthy. Tell your doctor about any medical conditions and medications you are taking. Follow all of your doctor’s advice and attend all of your appointments. Live a healthy lifestyle by staying active, listening to nutritional advice and refraining from smoking and drinking alcohol. Ask for support from family and friends if you need it.